See the sea of lights and feel the support. 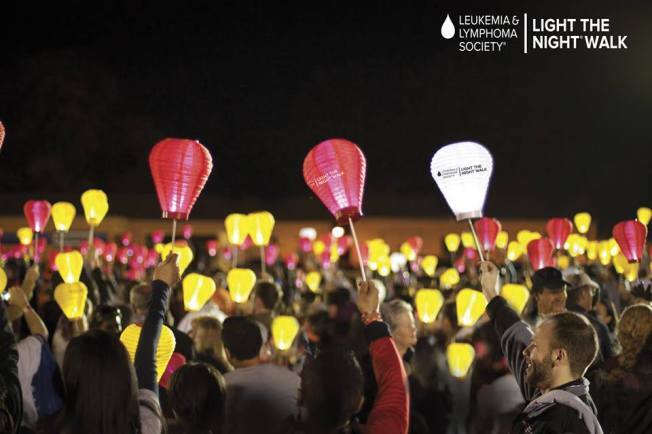 NBC 5 Chicago is proud to sponsor the Leukemia Lymphoma Society’s Light The Night Walk October 24th at Arvey Field in Grant Park. Come make a real impact on the lives of blood cancer patients by joining in the Light The Night Walk by celebrating community and funding research. Light The Night Walk is a community celebration of music and entertainment where everyone comes together for a common goal, celebrates their fundraising success, and demonstrates their support in the fight against blood cancers. The Leukemia & Lymphoma Society was founded in 1949 and has worked on cures and ensures access to treatments for blood cancer patients. Register now! Visit http://www.lightthenight.org/.